Air Explorer shows your cloud files from different clouds in its own interface. 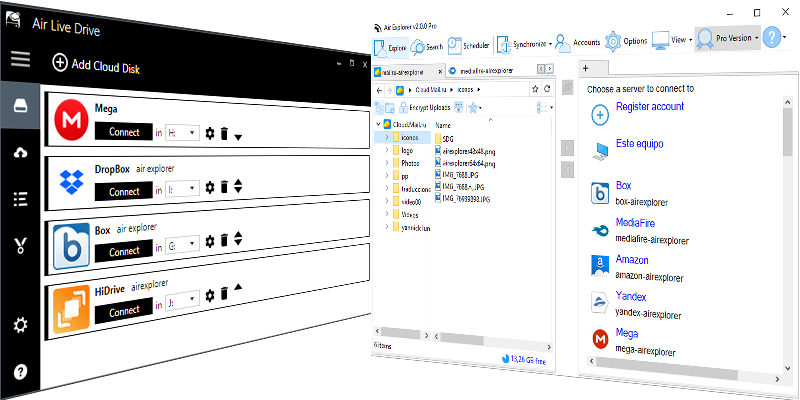 This interface is optimized for accessing cloud servers (it has tabs, and a split screen to transfer files). Air Live Drive mounts your clouds as disk drives in your computer. It allows you to use your usual tools or programs directly on the files in the cloud. 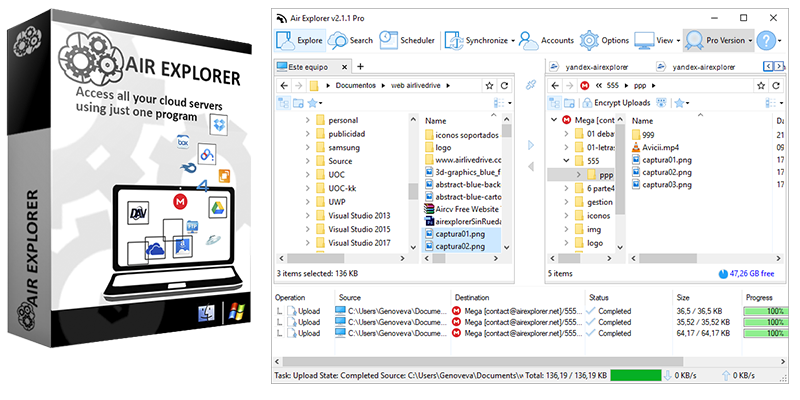 Air Explorer has other features, it allows to encrypt files, schedule automatic file transfers, synchronize folders, view and restore old file versions, etc. It has better upload and download performance since it control the full process instead of using the Windows File explorer as Air Live Drive does. 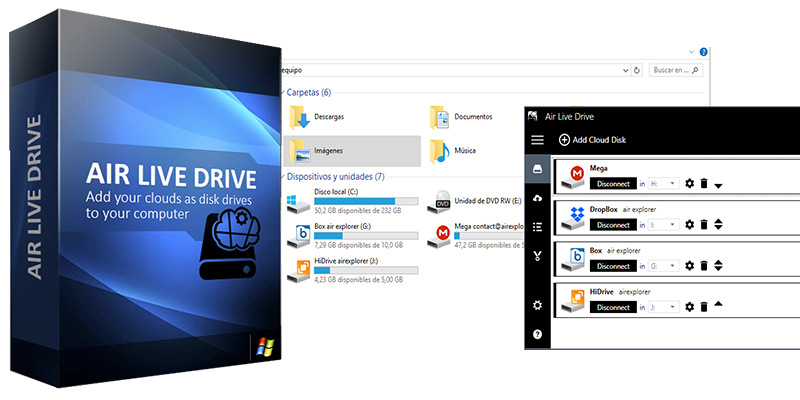 So if you prefer to have your clouds as disk drives in your computer and use them as you are used to do with the local drives go for Air Live Drive, if you want to manage the files in your clouds with better performance, synchronization and more features go for Air Explorer. Many of our customers use both. This entry was posted in news and tagged air live drive. Bookmark the permalink.